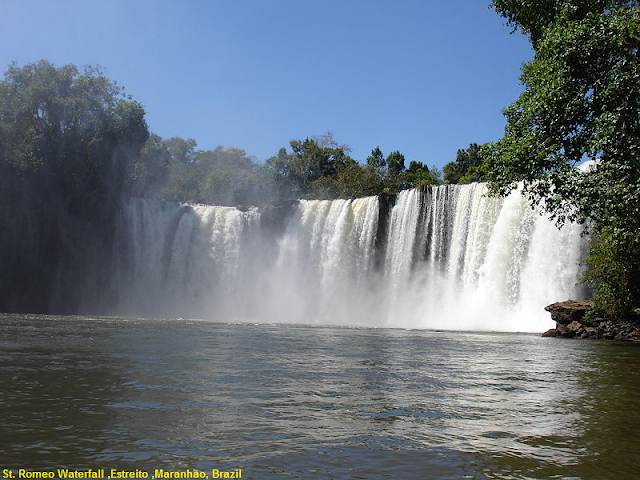 The São Romão Waterfall is a beautiful waterfall, located in Rio Farinha, a tributary of the Tocantins River, 70 kilometers from Carolina, in Maranhão. The access to this waterfall is done by a good part in ground road, being necessary a vehicle of traction like pick-ups and jeeps. The Cachoeira de São Romão is one of the biggest and most fascinating of the destination. From Cachoeira do Prata, it is necessary to take another hour of road to the second drop that is 35 meters high. The great highlight is the fascinating path that takes the visitor behind the waterfall, in a huge cave enclosed by the curtain of water poured by the waterfall. On the way the visitors visit the most beautiful mountains of the national park, passing through some villages with a great amount of buritis, a tree that indicates the presence of water in a certain place. With luck you can see some birds of the region such as toucans, macaws and siriemas. Best time to visit -: June to Aug.